This is a link to the animation I made from one of my paintings. My friend Kevin Moore composed the perfect soundtrack and I borrowed the sound effects. I'm happy with the result but I'm not ready to devote that much time on another one just yet. Oops! 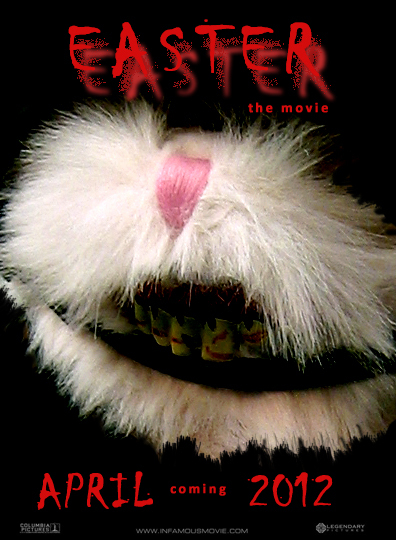 I had these ready way before Easter came around this year and then I forgot about them. So I changed the release date to 2012. I can't wait another year to post them or else I might forget again. So here they are. Has a movie ever been made based on a fake movie poster? I know there have been movies made based solely on their titles because that's the best part of those movies. So why not a poster? I'm willing to sell the movie rights for this one at a handsome price. Call me! The postcard I made for the bon voyage party for my trip to Beijing. I thought this might make a good recruiting campaign poster. I still haven't proposed it to them yet. 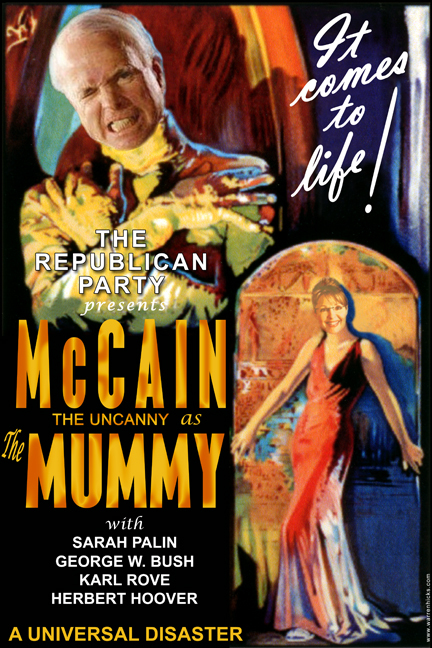 Starring John McCain and Sarah Palin. I wish I would have come up with this idea earlier than a month before the election. I think I could have made more money on prints and T-shirts. Timing is everything. But it still makes me laugh.